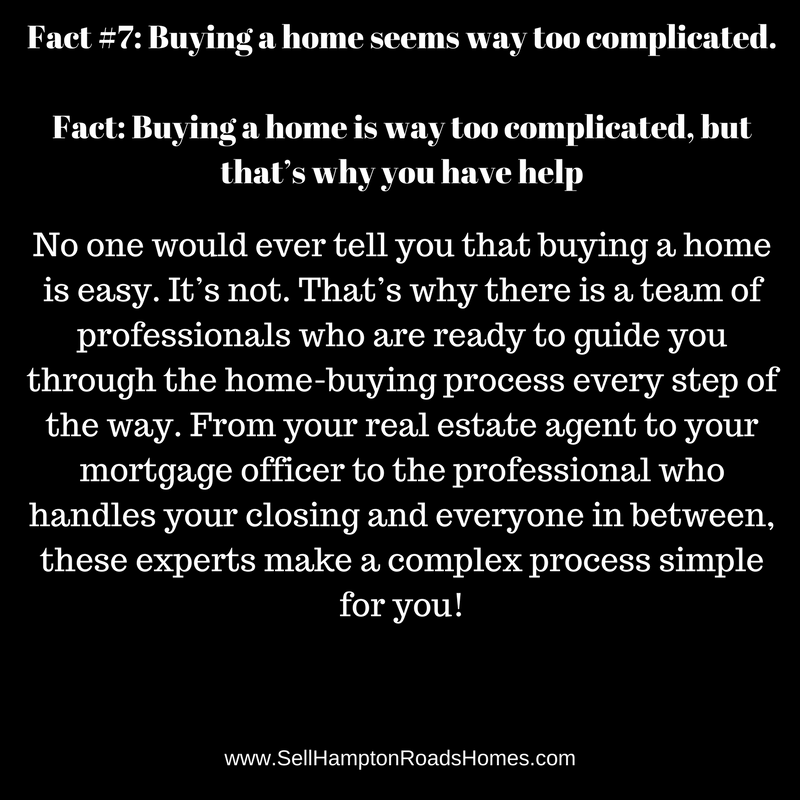 From your real estate agent to your mortgage officer to the professional who handles your closing and everyone in between, these experts make a complex process simple for you! Get in the game as soon as possible. First, while it’s valuable to have a good credit store, a poor one shouldn’t prevent you from talking to several lenders to explore your options. Don’t let the lack of a substantial down payment prevent you from investigating your home-purchasing opportunities. 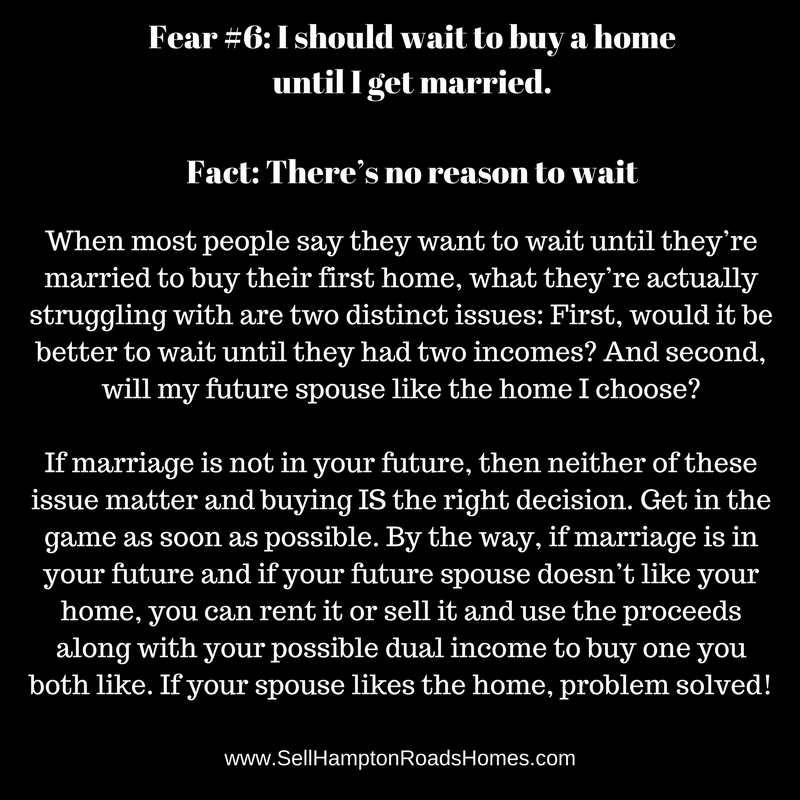 Historically, focusing on the market is never the same approach as buying the right home. 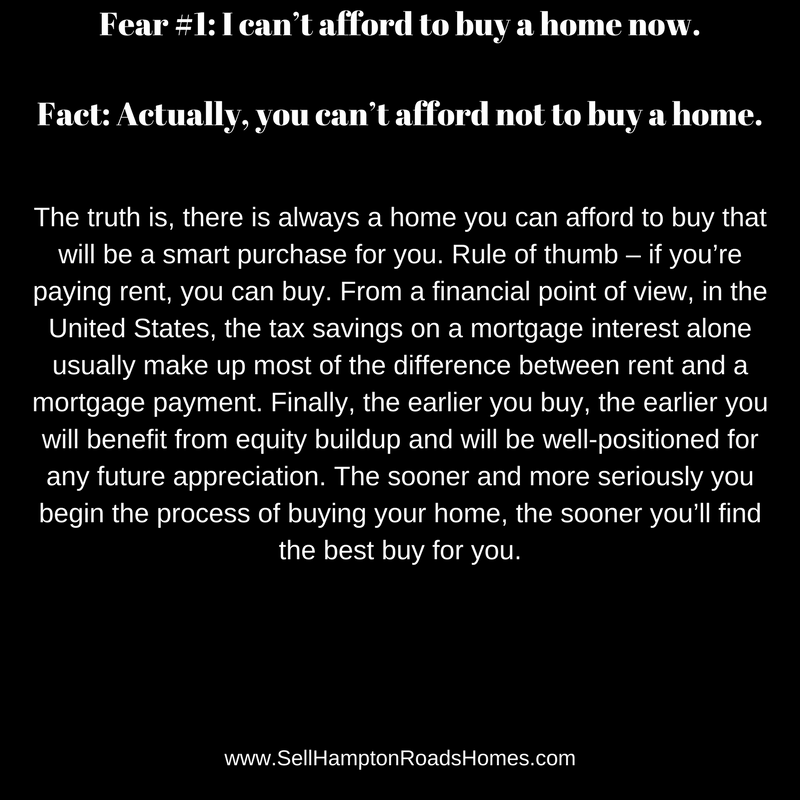 Fear #1: I can’t afford to buy a home now.Fact: Actually, you can’t afford not to buy a home. 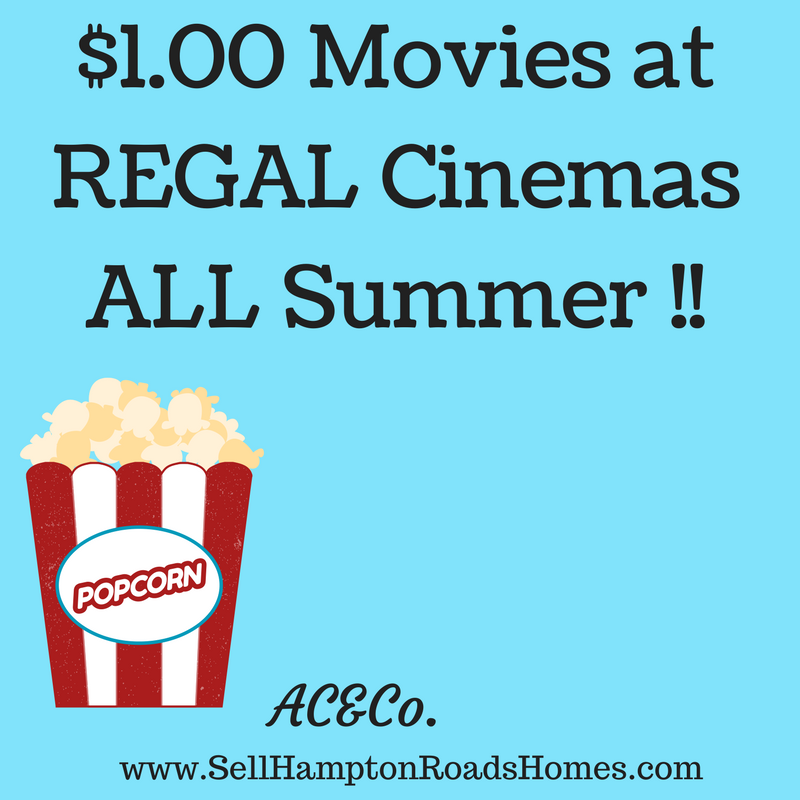 $1.00 movies all summer for the kiddos. Check out REGAL summer movies. Its a GREAT staycation idea. 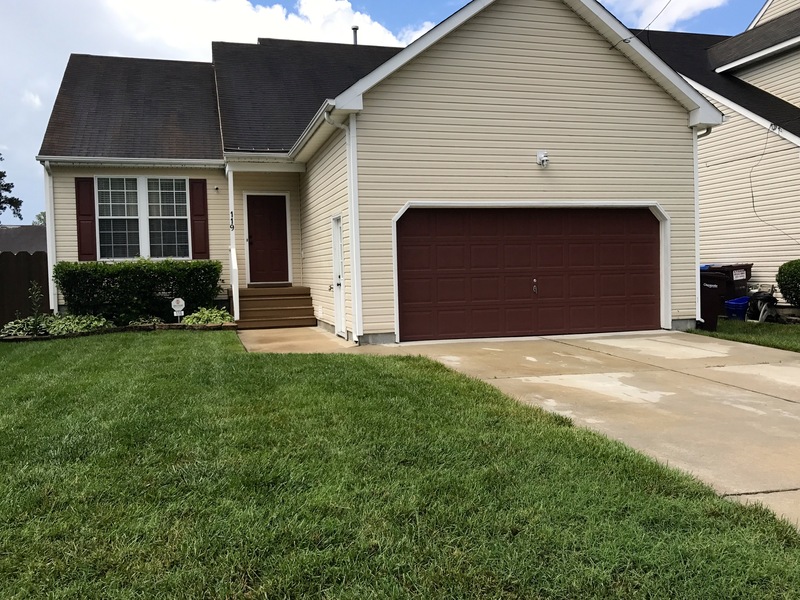 View photos and video of this move in ready Cypress Point condo in Virginia Beach that is for sale. 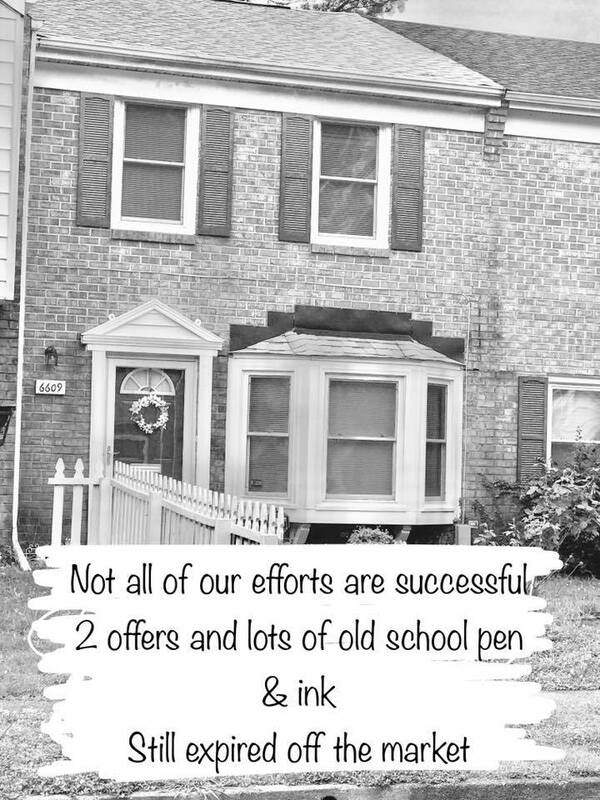 Contact REALTOR® Alison Creamer (757) 652-8880 to see the property. Not every home sells. This was a tough sale with 2 offers that failed. Dont be foold by social post, we dont get the job done every time.